How do you define cost effectiveness? 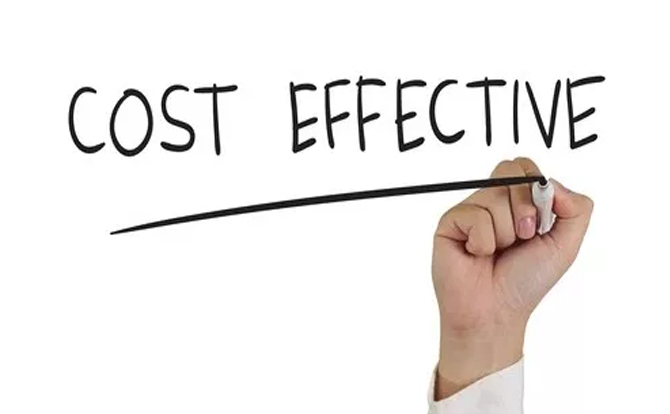 In any business vocabulary, the term cost effectiveness plays a quintessential role. It applies to the relationship between monetary inputs and the desired outcome, for example the relationship between the expenditure of the advertising campaign and the increase in sales. Cost effectiveness is imbibed by not only how much money is being spent, but rather on the variety of concerning dimensions to carry out a business seamlessly and in the best possible manner. • Cost-effectiveness cannot be only defined in terms of Money. It’s all about higher performance and to remain competitive. It also involves constantly aiming for innovative and highly-efficient modes to perform outstanding business results. Therefore when one business organization is implying to be cost effective, it does not necessarily mean that it is demanding less money to perform an action. However, it implies that the organization is looking for more innovative and futuristic modes to arrive at the desired business solution. As we all believe that in business practicality Time equals Money. Therefore if an organization delivers a solution to your business or marketing problem in a far less time compared to other organizations, then it surely implies to be cost effective. • Talent pool equals to minimum Effort contributing to marketing cost effectiveness. If a marketing organization offers you with a platform where you have the privilege to avail your solution by utilizing wide confluence of talented minds, it surely is cost-effective in the prime sense of the term. You surely have a higher chance to effectively receive your desired solution in the least time-frame and having spent minimum effort. To bring together a host of talent who are specialists in their respective fields means effectual increase in the standard of the output. The final solution to the entire problem is essentially composite and is a result of the bringing together the best industry minds. Therefore of the increased output effectiveness is directly proportionate to being highly cost-effective in nature.